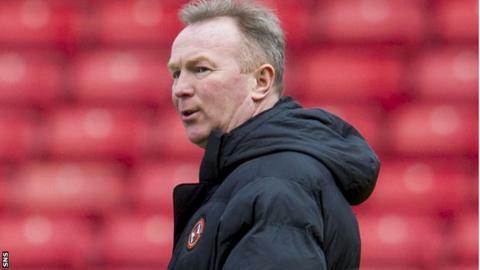 Dundee United have vowed to fight any claim for damages by departed youth academy director Stevie Campbell. Campbell revealed at the weekend that he had submitted his resignation - three months after he was suspended pending an investigation. And he said he would take up a constructive dismissal claim. "His allegations are entirely rejected and the club will robustly defend any claim if required to do so," said United in a club statement. "The board is disappointed that Mr Campbell chose to resign with immediate effect rather than attend an internal meeting to consider the club's concerns scheduled for yesterday morning." The Federation of Dundee United Supporters Clubs had issued a statement at the time of Campbell's suspension saying they believed him to have "a fantastic work ethic and to be an honest man with great integrity".